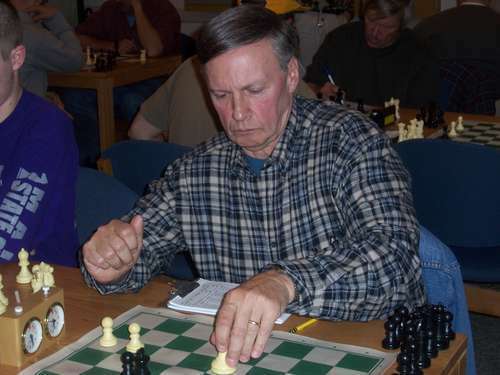 09.25.07 With all the action at the World Championship in Mexico City, let's not forget about local chess in Maine. The Eastern Maine Open is coming up on Saturday, September 29th. This four round, G/60 event will be played at the University of Maine, Orono and will have prizes for sections from Open down to Class G. Here are all the specifics. Class: X - $25. A - $25. B - $25. C - $25. D - $25. E - $25. On I-95, take exit 191. Turn right at intersection and proceed to end of road. Take a left, and follow the road to the University of Maine sign. Take left at sign, and follow to Memorial Union. Go to the Bumps Room for registration. Advance entries: Thomas Sandford, 7 Wedgewood Drive, Veazie, ME 04401.